GALION — Owners of buildings in the downtown are are being asked to to submit interest form to determine interesting in a Downtown Revitalization Grant the City of Galion hopes to receive. 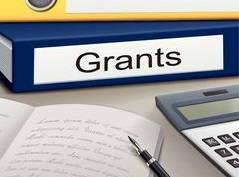 If grant funding request is approved, building owners within the target area will be eligible to request financial assistance on a dollar-for-dollar match basis. Projects that bring buildings into compliance with Ohio Building Code or generally improve buildings will be funded, such as: facade improvements, roof replacement, HVAC system repair or upgrade, tuck pointing, window replacement, electrical upgrades, plumbing repairs, handicap accessibility, and more. Owners will have two years to complete their projects. Experience Galion, a local organization helping the city, is currently conducting a Building Owner Survey to determine interest in the grant. If you are a building owner within the target area and have not completed the survey, please do so as soon as possible. Indicate your interest level in the program and the likely range of private investment. Please return surveys by Thursday, July 6. Hard copies may be mailed or dropped off at Galion City Building, 301 Harding Way East. Electronic copies may be emailed to experiencegalion@gmail.com or faxed to 419-468-7620. Surveys are intended to gauge interest level in the program; responses DO NOT constitute a financial commitment or binding agreement. The city’s application will be scored based, in part, on how many surveys are completed. The Downtown Revitalization Grant is offered through the Ohio Development Services Agency. The total amount of grant funding will not be known until it is awarded. Projects will be funded on a first come, first served basis until all grant funds are distributed. For more information, call 419-468-1857.